Kerby Anderson, Point of View: Lately those pushing health care reform can’t seem to catch a break on their budget numbers. On a number of occasions the nonpartisan Congressional Budget Office (CBO) has shot down the predictions in their bills. First, the CBO determined that the health care reform bill would cost $1.6 trillion over ten years. The sticker shock was nearly fatal. Second, was the claim by that the health care reform bills before Congress would “bend the curve” on spending. In other words, it would lower health care spending in the out years. The CBO said no. 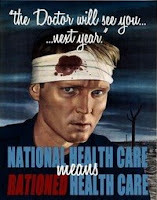 In fact, it said that health care spending would significantly increase. Third, there was the attempt to fix the Medicare provision for the “sustainable growth rate” that forces the doctors’ reimbursements down if Medicare spending goes up. Proponents argued that this wasn’t an expense but a fix. The CBO disagreed. What happened next appears to be unprecedented. The president, obviously upset with these numbers, called the CBO Director to the White House. I doubt their chat was very cordial. It’s OK to argue with the umpire, but to call the umpire to the White House smacks of intimidation and manipulation. I’m Kerby Anderson, and that’s my point of view. Tags: Barack Obama, CBO, Congressional Budget Office, cost, government healthcare, Kerby Anderson, Point of View, The White House To share or post to your site, click on "Post Link". Please mention / link to the ARRA News Service. Thanks! Jason, You didn't leave your contact info.